Eyüp Sevimli, giving a speech at the General Assembly, informed members of the General Assembly about the activities performed during his term in the Board of Directors and the planned new infrastructure investments. 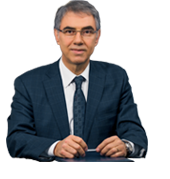 Eyüp Sevimli, indicating that last year has been the most difficult year due to economic and political developments, stated that despite all negativities experienced in the country and world economy the increase in investor demand to İZBAŞ and being the preferred Free Zone has brought great happiness. Mr. Sevimli, in his speech mentioned that in 2016 various companies that investments in the Zone will be manufacturing goods mainly for exportation and he also indicated that their aim is to be the Free Zone renown and upper mostly opted for its world-class managerial, corporate and environmental infrastructures. In the election during the General Assembly, the Council Committee President was TOBB Vice President and Aegean Region Chamber of Industry President Ender Yorgancılar. Eyüp Sevimli, Yaşar İleten, Süleyman Tahiroğlu, Kenan Mazıcı, and Selman Sağer were elected unanimously for board membership for 3 years.